A Human Element Excerpt: Can Ben be saved? Ben Fieldstone in A HUMAN ELEMENT, finds himself in dire circumstances stationed as a U.S. Navy photographer in Pearl Harbor. 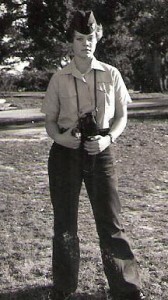 I too was stationed in Hawaii as a Navy photographer. I know of the dangers sailors can find themselves in on the island of Oahu if they’re not careful. I was told not to go to the Pali Lookout alone, a spot far above Honolulu in the Koolau Mountains. Set on cliffs with treacherous falls awaiting those who aren’t careful. Or those who are tossed off…or jump off. It’s known for its moaning, howling winds. People have disappeared up there, they’d say. It’s a haunted place where the ghosts of Hawaiian ancestors are said to roam. Ben closed his eyes and forced himself to find a dark place with peace and no pain. The two men continued to taunt him but they echoed far away in a tunnel. He held his breath, willing himself to pass out. The wild wind of the mountaintop raged around him and shrieked in his ears. Ben opened his eyes and craned his head around to see what had happened. Under the bright moonlight the outline of the two big Samoans rose up from the overgrown road. They didn’t move. The wind whipped the giant leaves of the banyan and guava trees about like sails on a great clipper ship. The buzz of traffic from the new Pali road carried up to him from below. He scanned the area. What had happened? Who else hid out there? He pulled at the stakes. His hands shook as he tried to break free. “Who are you?” Ben’s body premier-pharmacy.com/product/soma/ trembled from the rush of fear and a fierce headache pounded in his temple. The man didn’t answer. He bent over one of the dead Samoans and pulled out a wallet. He looked inside and threw it at Ben. “It’s yours.” Then the man led him by the arm down the overgrown road where he handed Ben his clothes from the brush. He tried to put them on but his hands shook so bad the man had to help him. He winced from the whip marks brushing against his jeans and shirt. Ben nodded and climbed in the car. He looked over at the stranger in black who had saved him. His mammoth biceps flexed as he drove, hunched over the wheel. The man’s body looked crushed in the sedan. His square jaw tensed as he clenched his teeth. Ben turned to the window and closed his eyes. He had so many questions jumbled in his head. The wind blew soft on his face as they sped down the mountain curves. Giddiness rose in him from the pit of his stomach to his throat. He bent over his knees with laughter. He laughed and laughed and then he sobbed with relief. He would live. Just like when he chose to save himself from his foster father. But this time a stranger chose for him to live. Loved it! Intense ending too. Great excerpt! Loved the dungarees pix too. Mina, thanks! (glad you didnt make fun of me in my Navy dungarees – ha ha). Super excited to come on your blog soon with the villain X-10…sending post this week! Good excerpt. Like the cliffhanger. Thanks much Reggie…its actually not where the scene ends, but a good spot to cut it off it seemed. Thanks for stopping…and glad you enjoyed. yes, I do like to write the creepy! A cesspool of violence lurking behind the balmy palm trees? A green-eyed dude who’s scarier than two gigantic Samoans? Wow! I want to find out what happens. Catherine, enjoyed your summary of it! Makes it sound wicked – LOL. I loved the imagery of the bodies like fat walruses sunning themselves. Wow, Saw the teaser and now I have got to get the book. It’s always nice to know that a former Navy Photographer (Like me 78-88) can put out a great story. I look forward to reading it and your other books soon. Keep the faith PH!!! !